As part of the user management options, you may bind end user to existing Stakeholder definitions. Recall that by doing so, you automatically enable the Me menu only to those end users who you define as Stakeholders. The first step to enable the Me menu for a given user, is to bind that user to a Stakeholder definition. 1.Go to the Admin menu and select the Stakeholders option. 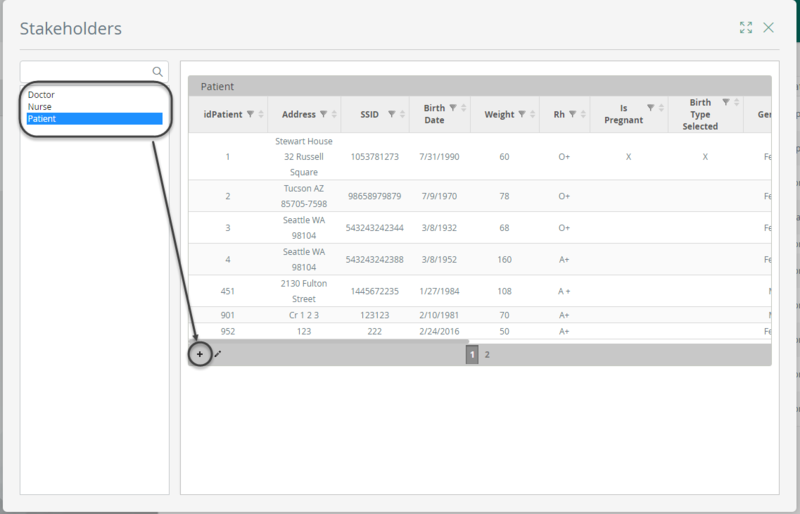 2.Select a Stakeholder from the list on the left and add a new record. 3.Search for the user to be associated as that type of Stakeholder. Keep in mind that a single user can belong to more that one Stakeholder, there are no restrictions. For example a user can be a Doctor stakeholder as well as a Patient stakeholder. 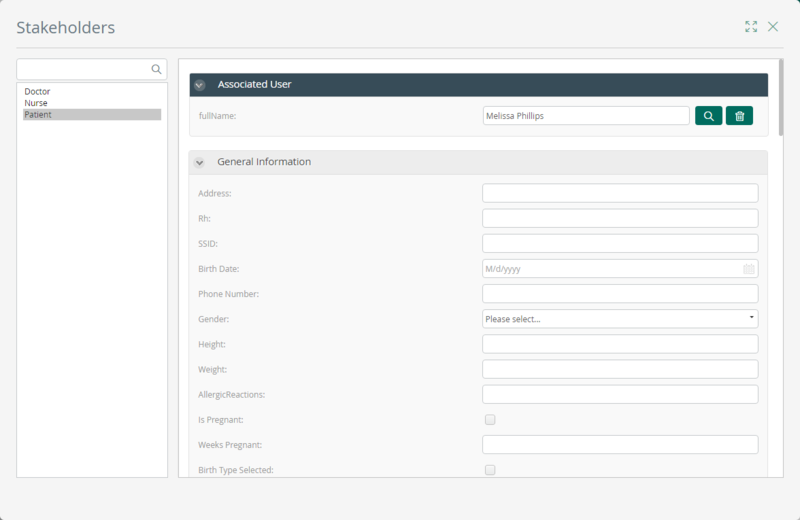 In this window you can also create the user if it has not been previously created. 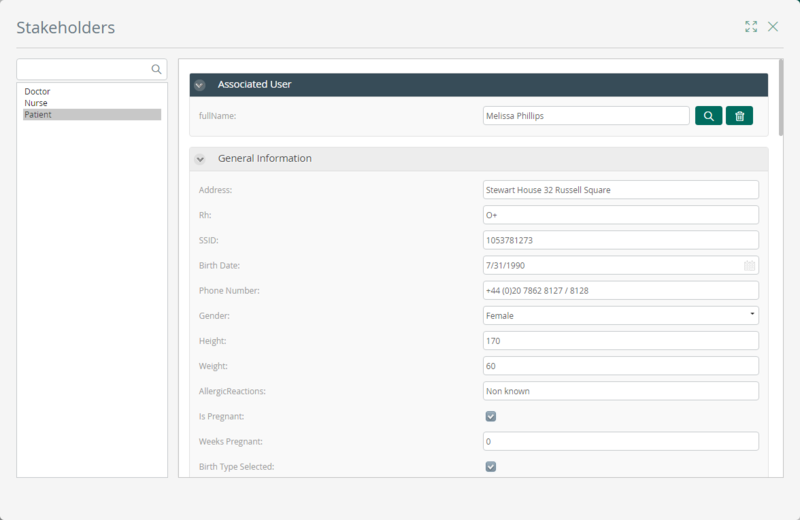 4.Add details about the newly associated record that binds a user to a Stakeholder. 5.Save changes by pressing the Save button located at the bottom of the table. 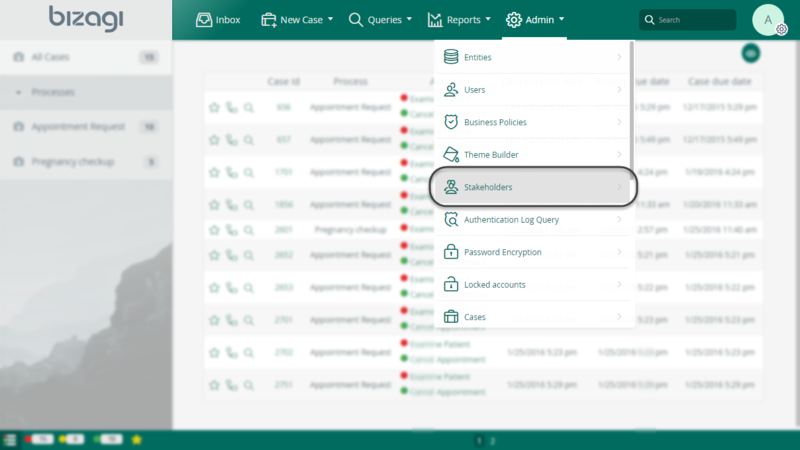 At this point, the end user has been assigned with the given Stakeholder definition, and this means that the next time that user logs in to the Work portal, he/she will be presented with the Me menu.